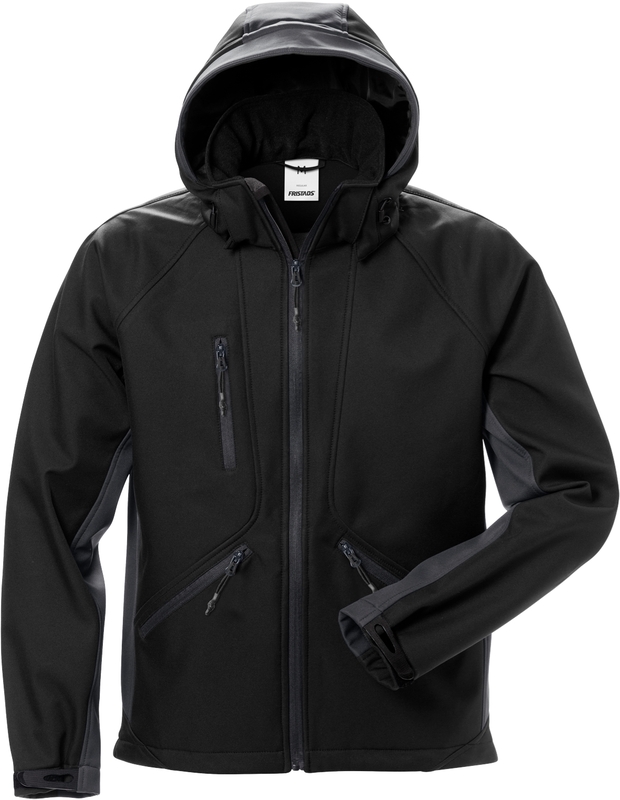 Windproof softshell jacket with contrast details and detachable hood. Suitable for transfer printing. Breathable, windproof and water-repellent / Inside fleece lining / Detachable hood adjustable with drawstring / Zip to top of collar with inside placket / Chest pocket with zip / 2 front pockets with zip / Adjustable sleeve end / Adjustable hem with drawstring / Extended back / OEKO-TEX® certified.